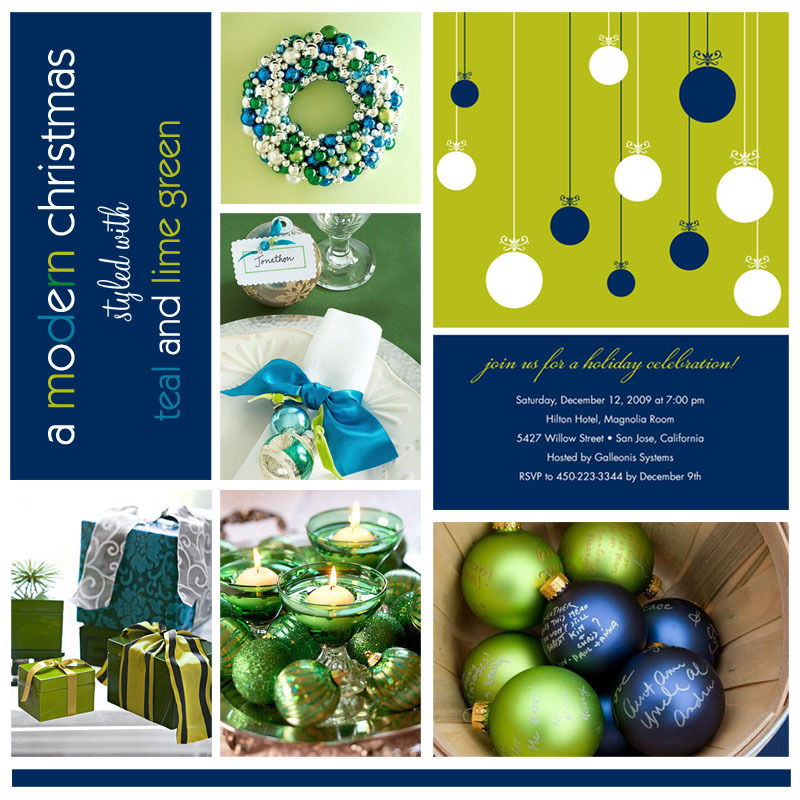 Jackie Fo: Holiday Party Time! 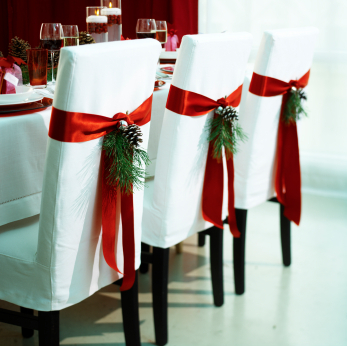 It's never too early to plan your holiday soiree.Take a look at these non-traditional holiday themes for inspiration! TEAL, BLUES AND LIME GREEN provides an unexpected pop of color for holiday events! NATURAL TOUCHES such as evergreen sprigs and pine cones give a rustic feel. 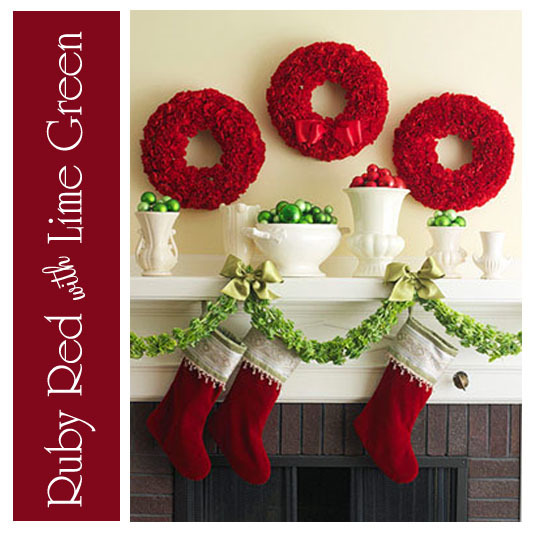 As you can tell, there are plenty of choices besides red, green and peppermint sticks! Use a non-traditional Christmas color or theme; I promise that your guests will be impressed! 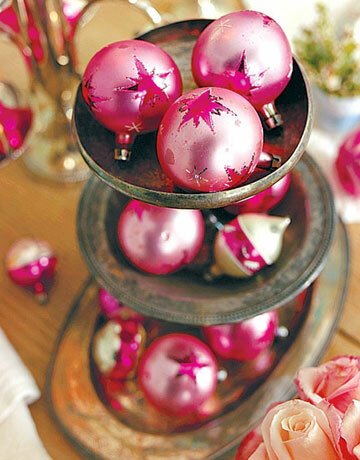 I'm off to dream of sugarplums! 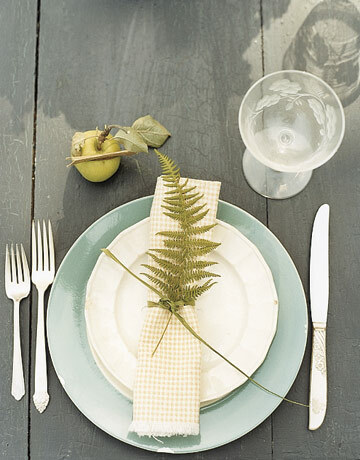 oOoOooOoh- i love these ideas! i even already have the peacock wreath, so i think i know which look i'll be starting with. 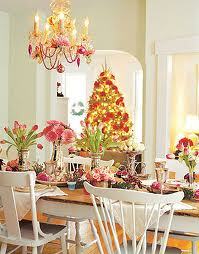 Oh la la, I LOVE pink for Christmas!!!!! Fabulous inspiration...oh it's makes me excited to start decorating! 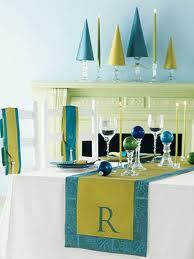 I have definitely been tempted to scrap all my holiday decorations and start over with a new, fun color. 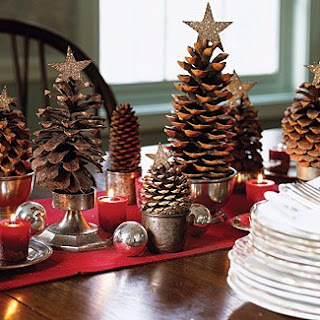 I love those pine cones as trees! too cute! 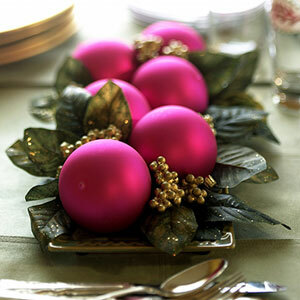 such cute ideas I love pink!! !